Happy November! Is it just me or has this year seemed to fly by? I am having a hard time believing that it is already time to start planning & preparing for the holiday season once again. As my girls get older and begin participating in more activities, my husband and I are finding it increasingly important to prioritize, and to be intentional with our time and energy. We want them to grow up knowing the true meaning of Christmas, remembering happy memories with our family, the special traditions and the joy of giving back, not just the stuff. It can be very difficult at this time of year to keep your stress and budget under control. There is seemingly always one more present to buy, one more ingredient to get, or one more card to send. While it is easy to put off dealing with the repercussions until later, all those little costs can add up to a lot of stress come January. Good planning is SO key! It is so important to decide now what you can afford to spend, and to break it down into categories to get a clear idea of what that means for your family. And in the spirit of stockpiling, planning your menus, grocery lists, and gift needs ahead of time will also mean giving yourself an opportunity to stock up on the items you need when they are at their lowest possible price. For more tips on keeping your Thanksgiving & Christmas food budget in check, be sure to also read this post on How to Save on Food for the Holidays. 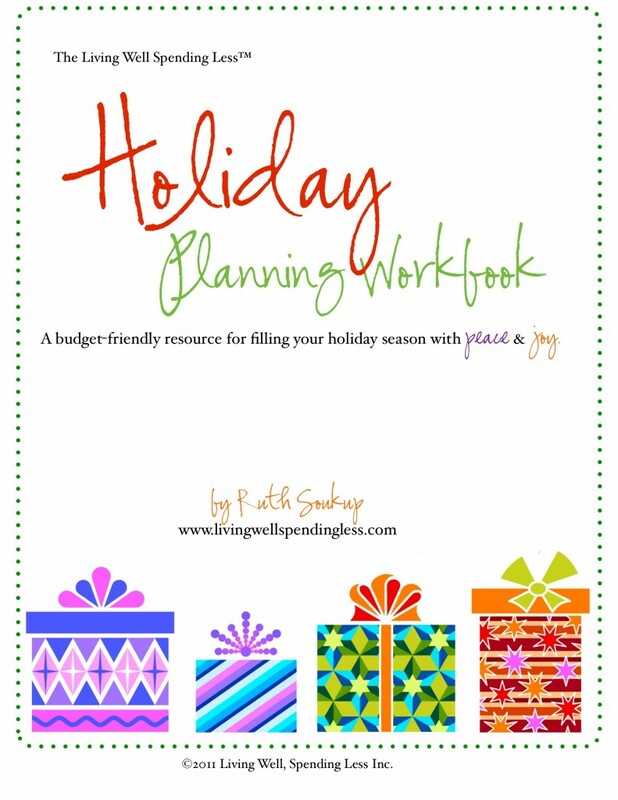 This is the third year I have shared this Holiday Planning Workbook, and I have personally found it to be a very useful tool for setting our priorities as a family and for planning our holiday budget, gift list, and grocery needs all in one (very cute) place. My hope is that you will use it to plan your own stress-free, budget-friendly holiday. Here’s to a holiday season filled with joy and peace! Do you find the holiday season stressful or joy-filled? What are your favorite Thanksgiving and Christmas traditions? What are some things you would like to do differently this year? This is awesome, I printed last night filled out. And it looks pretty amazing on a paper. I have never thought to put my christmas shopping on a list and now its kind of shopping, I regret I havent printed earlier. But thank you,Ruth! Printing this one out asap! I usually always write down list after list, but to have it printed out neat and organized seems to me like Christmas shopping and all the other holiday bustle will be a breeze. What a great planner/workbook! I’ve been looking for something *just* like this! Thank you so much for sharing it with everyone! Just to expand on what I was trying to explain… An example might be when I make multiple “simple but sweet” items for Teaches, so room for names and details, to note when the item is given and so forth would really help. Will you be coming out with an updated 2014 version on the holiday planner? 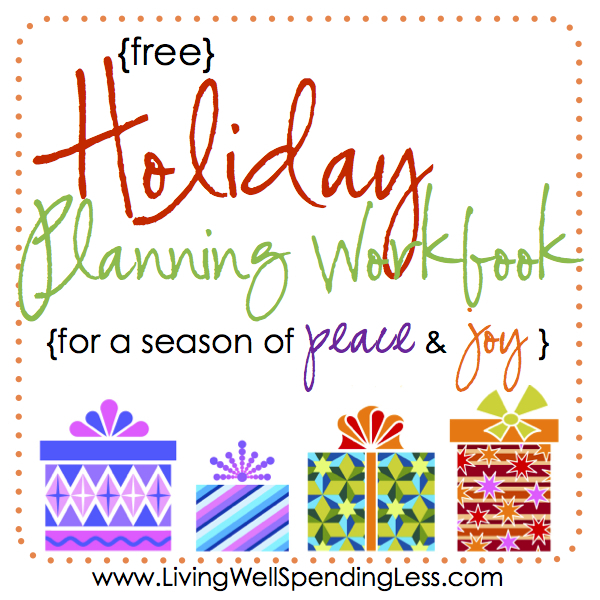 Your tips are great and I love the holiday planning guide. Will you please update it for 2014? Thank you so much for all your efforts!